Every year many hikers get lost in woods or on trails, it usually only happens when the individual aren’t going with other hikers, but not always. Zion National park offers some of the most intense scenery you’ll find anywhere, but you have to hike to it to see it. 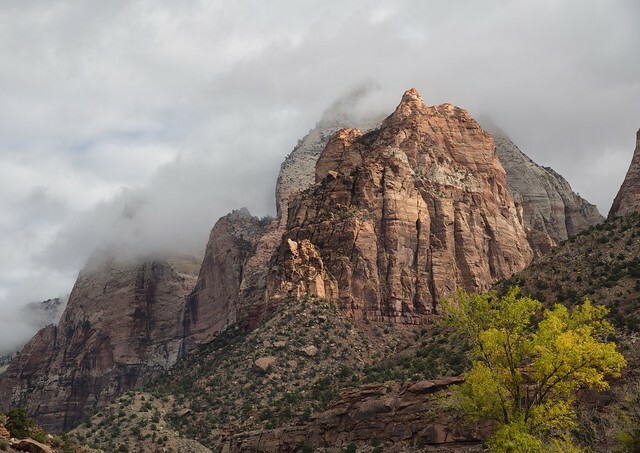 So here are some hints on what to do if you find yourself lost while hiking in Zion Canyon. The most important step to remember is, inform your friends or someone about your trip, let them know where you are going and when you are coming back. Also let them know when and what time you will contact them, so that if you are not back in the specified time your family or the park ranger can send a search troop for you. 1. The first and foremost step is following the trial along with other hikers. Don’t wander, in case you are lost, remember to carry map and compass along with you. Before you go for a hike, look at the map and know the trail, streams, nearby roads, and other areas. Also give your trip plan to your family and friends. Look around while hiking to observe the topography, in case you are lost they could serve as a good navigation points. 2. A compass and map helps you find the familiar landmarks. Don’t forget to keep them in your backpack before leaving for the hiking. Stay calm, and look at the map with calm mind, you may find the way. 3. In case you are lost in Zion National Park, make sure that you leave a trail mark behind, so that when search team come to rescue you they can see the ribbons on the tree and they can easily rescue you quickly. 4. Remember the magical letters S.T.O.P., when you lost in woods, don’t get panic, remember these letters, ‘S’ is for stay calm, stay cool and contemplate on map and other surroundings. ‘T’ is for Think, think calmly and think how to get out of this mess and reach home safely. ‘O’ is for Observe, look around your surroundings. And finally ‘P’ is for Plan, eat and take rest before you try to find the way out, plan on how to get out and how to leave hints to the rescuers. Don’t let fear conquer you, don’t get panicked and restless. Zion National Park is an incredible place to go hiking and to stay, so sit down and look at the beautiful surroundings, just relax. If you are calm and composed, then you can easily find your way to reach your group. Protect yourself and carry lots of water and food before going hiking, that way you don’t need worry about your food. All of these can happen only when you do not follow your group. So be alert and attentive while hiking. My husband and I spent a lovely couple of days at The Bumbleberry Inn. The scenery was the most spectacular and the lady at the desk could not have been sweeter. I have been recommending your lodge to all my friends and relatives who head out your way. Unfortunately, my daughter became a bit stranded Sunday, Nov 2, having taken a late afternoon hike on Angels Landing and I steered her to your place for safe harbor. The lady at the desk was rude and uncooperative and told Alison that I could not pay for her room over the phone, as I had promised Alison to do if she found herself in an unsafe position. I have never been unable to pay for anything with a credit card over the phone before. My daughter stayed with you anyway but we are saddened that she was treated so poorly. Any reason for the change of welcoming?